To find out further information about any of these organisations, please click on the relevant logo. 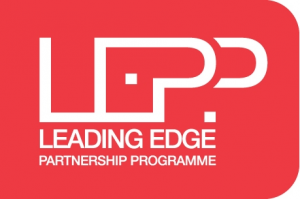 The Leading Edge Partnership programme is an international network for high-performing schools with a commitment to raising achievement through collaboration and innovation. It was established in 2003 by the Department for Children, Schools and Families in the UK. The programme continues to encourage schools to work together to raise achievement through the sharing of proven ideas and to solve some of the most intractable problems in education. 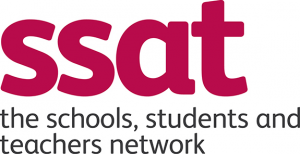 SSAT (The Schools Network) is a UK-based, independent educational membership organisation working with primary, secondary, special, free schools and academies. Its work is focused on providing support and training in four main areas: teaching and learning, curriculum, networking, and leadership development. The Prince’s Teaching Institute helps teachers bring the latest thinking into their classrooms and supports them to make lasting improvements in what and how they teach. The Institute brings passionate teachers together and encourages them to make rigorous curriculum choices, to teach beyond the test and to forge links with like-minded schools and academic institutions. Our school is currently working towards being accredited in History. Since 1983, NACE has been working with teachers, school leaders and local authorities to provide support, guidance and expertise to help fulfil the potential of our more able, gifted and talented students. NACE members are part of a community of professionals where aspirational provision for the more able, gifted and talented, raises standards and levels of achievement for all. Nasen is the UK’s leading organisation supporting those who work with or care for children and young people with special and additional educational needs and disabilities. Nasen support staff including SENCOs, leaders, teachers, governors and teaching assistants in meeting the needs of the pupils in schools and settings through promoting education, training, development and support. Nasen are an invaluable source of advice, offering an exclusive and vital range of benefits. 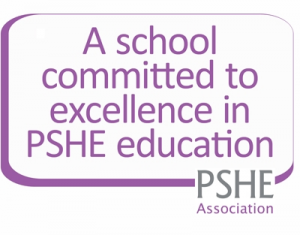 The PSHE Association is the national body for Personal, Social, Health and Economic education, leading the effort to ensure that every pupil receives high-quality provision. They provide expert advice, training and high-quality resources to PSHE practitioners, driving up standards of PSHE provision in schools across the country. They work with a variety of corporate, public and voluntary sector partners to help improve PSHE provision in schools. NATRE is the subject teacher association for RE professionals. It works to support those who teach and lead in all schools and institutions and at all stages of their career. Our schools lead the Cyprus arm of this organisation. NATRE provides a focal point for the concerns of RE professionals, a representative voice at national level for all who teach and lead in RE as well as providing publications and courses to support professional development. 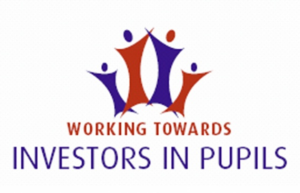 Investors in Pupils builds on the principles of Investors in People, to empower all pupils by involving them in decision-making, and developing responsibility and leadership in relation to their learning, behaviour, attendance, classroom management and induction. It is powerful in developing a positive ethos where pupils learn about how the school is run, and to understand how they can contribute to the running of the school. Pupils commit to common goals and teamwork – together with each other and with staff. 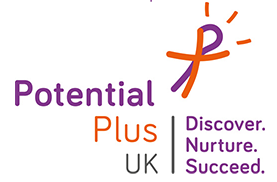 Potential Plus UK support the social, emotional and learning needs of children with high learning potential. Our partnership helps us to understand the issues and to help us to support the social, emotional and learning needs of children and young people with high learning potential. We have been a member of the TTSA since 2014. The Tendring Teaching School Alliance is formed from an alliance of schools in North East Essex/Suffolk and other partners further afield. The alliance aims to deliver high quality training and professional development for teachers and leaders at all stages of their career. They also contribute to the raising of standards through school-to-school support and the deployment of SLE’s. We have visits from a number of their staff including Mr Stephen Edgell who worked with our teachers to develop our approaches to co-operative learning. The National Governors’ Association aims to represent all school governors and trustees in England; there are over 300,000 governors/trustees, one of the largest volunteer groups in the UK. We are an independent charity that aims to support and promote good governance in our schools; we do this through lobbying, via a range of contacts with ministers, policy makers and education organisations. We also run national conferences, and a number of regional events. IRIS connect is a video based professional learning platform that staff within the Federation use to further improve their already outstanding teaching and learning. It is an online video platform which allows teachers to film their own practice and reflect and improve their own teaching which has the added benefit of teachers being able to share their videos with others to help all staff improve. IRIS connect therefore deepens the existing culture of self reflection and sharing best practice that exists in both schools. The vision we have is to be a federation that has a large group of teachers trained in IRIS connect with a bank of videos demonstrating and analysing our best practice which can be shared across our federation and eventually beyond with collaborative work with areas of best practice in outstanding UK schools.